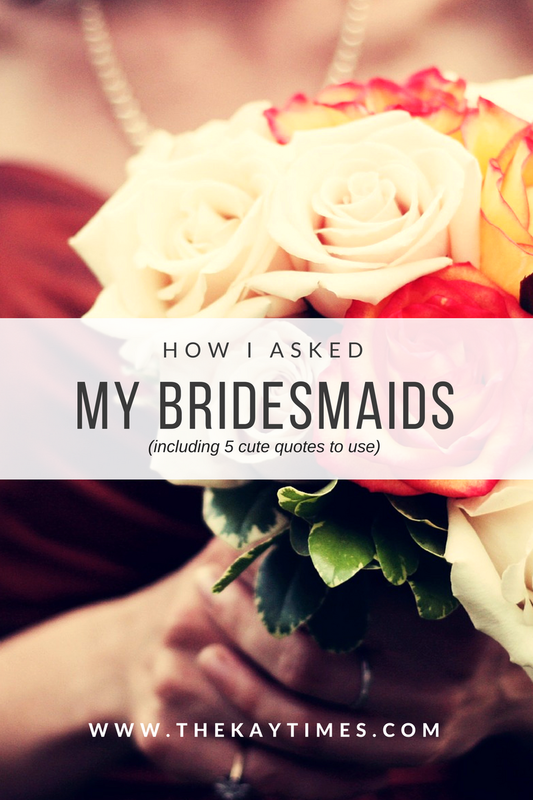 So I never actually thought I’d be the blogger who posts multiple posts about her wedding. And in many ways, I’m not. I already mentioned that I’m not the biggest fan of wedding planning, so I won’t be posting these every week. That said, when there is something that I’m excited about I’ll post it because I do want to remember the little things as time goes on. And so here I am. I was ridiculously excited to ask my best girls to stand with me on my big day and for some reason, felt really emotional about it. Really emotional – at least for me. In retrospect, I should have used my wedding colours (burgundy, rose gold and gold), but I was just too excited to even think about that #bloggerfail. 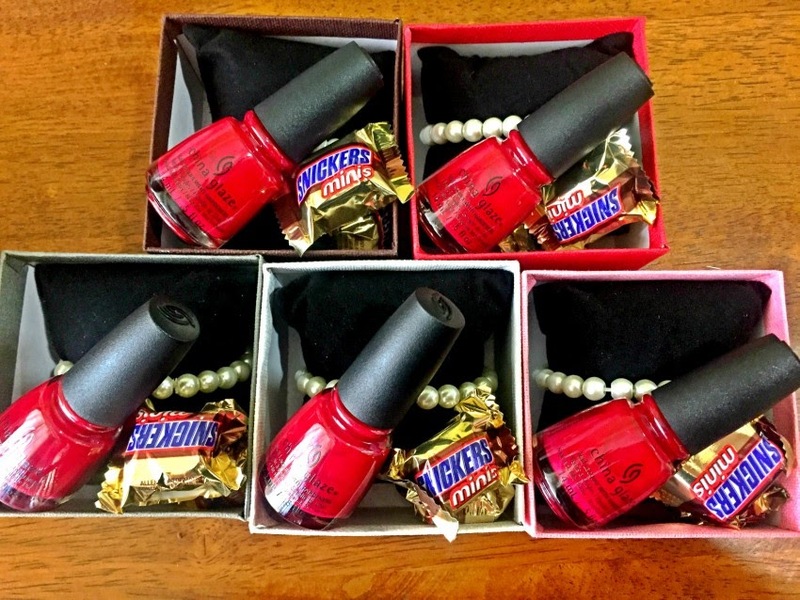 Anyway, on the night that we went out, we ordered two bottles of wine and I gave them each a box with a pearl bracelet, a nail colour with a wedding colour (burgundy) and a snicker candy. 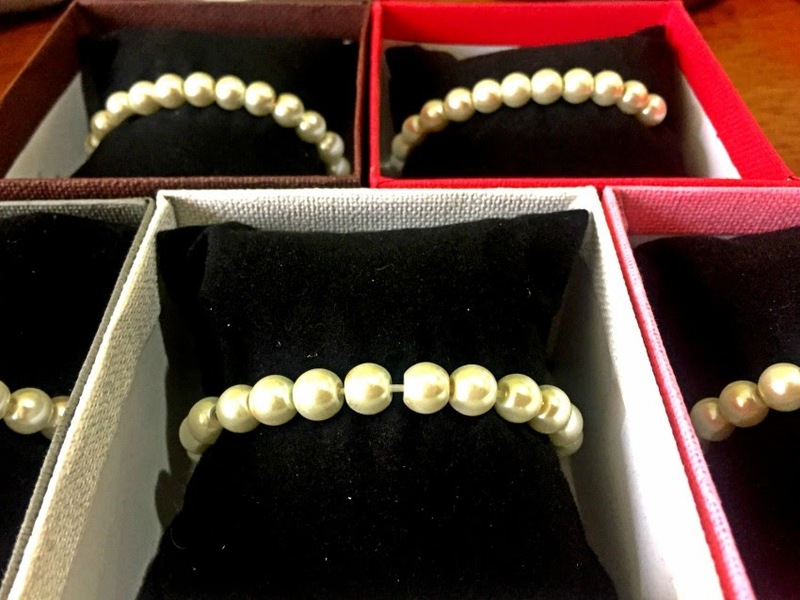 I bought the jewellery boxes in a local store, mainly because they had the cushion for the pearl bracelet, and they were less expensive that an online buy (the budget is real). The only downside is that I didn’t get them in my wedding colours, which I would have gotten had I done the online purchase. In the grand scheme of things, it didn’t matter. 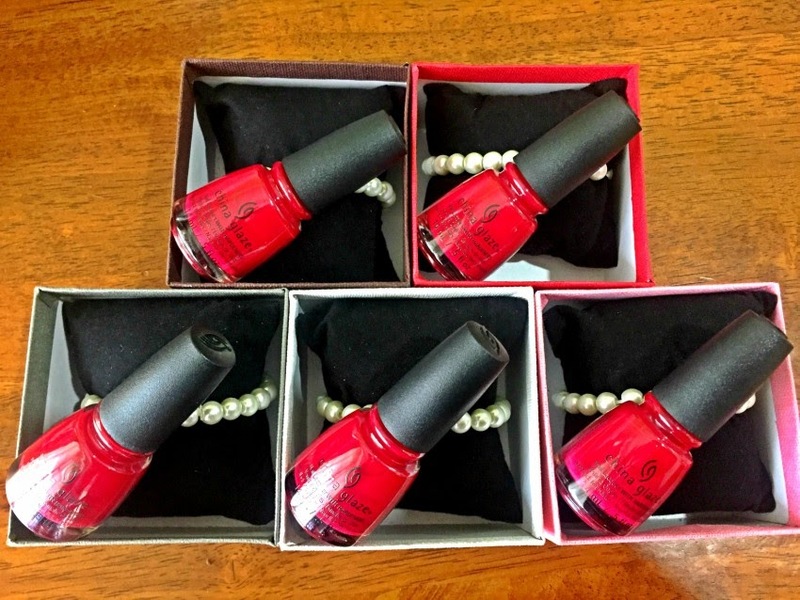 Close up picture of the pearls around the cushion that came with the box. I absolutely loved these and totally bought one for myself. For some reason, the polishes photographed red, I promise they are burgundy though. And this is an example of budgeting in work. I chose China Glaze nail polish as opposed to Essie, which is what I really wanted to use. … and the snickers added. Im not a big chocolate fan, but I do love me some snickers, so this was a personal touch I knew each of my girls would get. 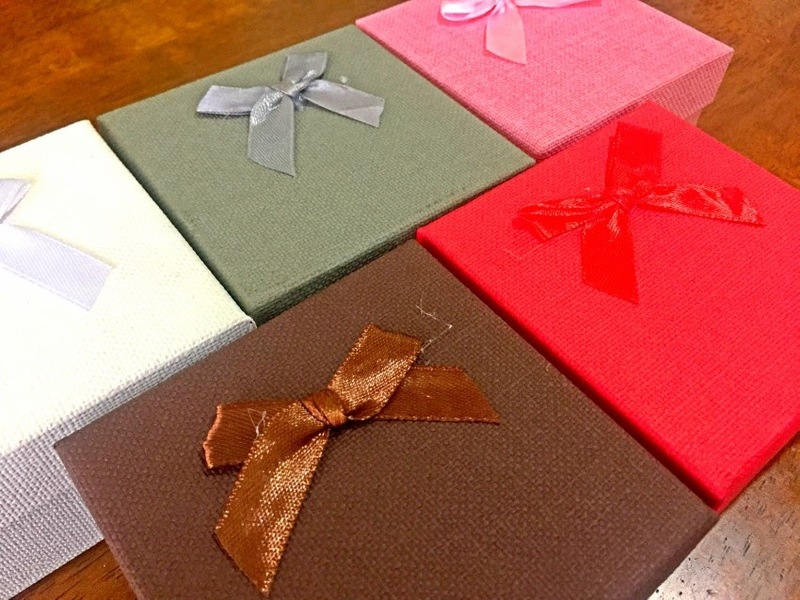 It made the gift very – me. Lastly, I picked up five small Hallmark cards. 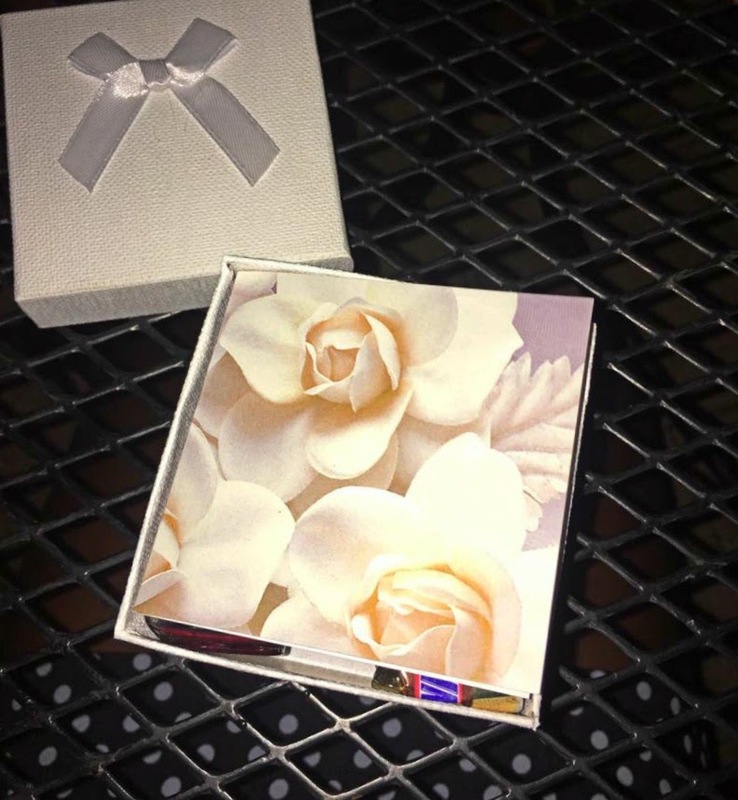 I placed a card in each box, at the very top, so that when it was opened it was the first thing that they would see. Honestly, I think the cards were my favourite part. Initially I was going to purchase some generic “will you be my bridesmaid?” cards on Etsy. 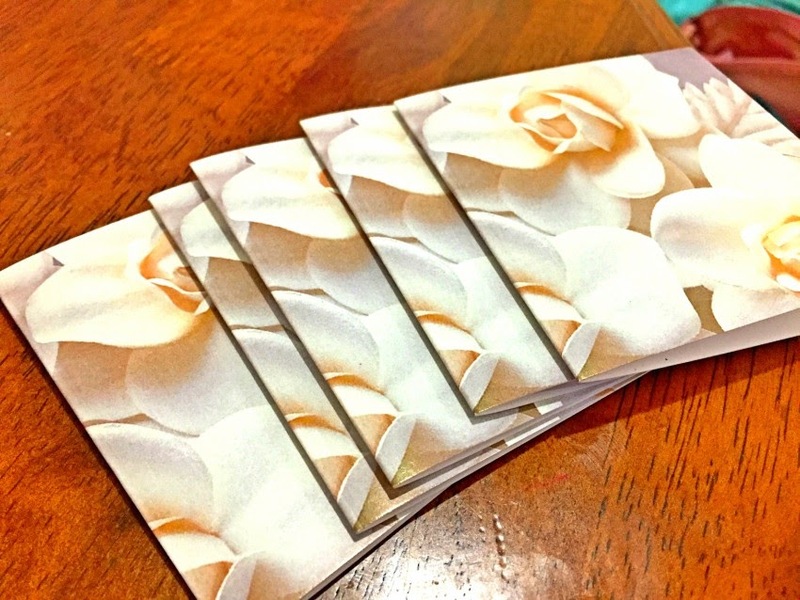 There were some super cute ones for sure, but as I said, I felt pretty emotional about asking my closest girls to be with me on my big day – a day that I wasn’t even sure would ever happen – so I skipped the generic cards, bought these cards and wrote a note unique to each girl in it. “I found my mister, but I still need my sister” ~ for my friend who is my confidant and basically a sister. On rough days, I call her. 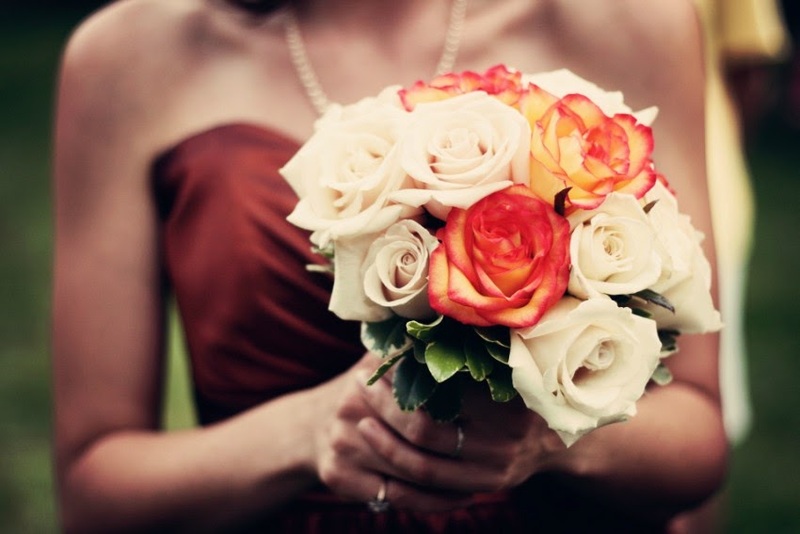 “I need something old, something new, something borrowed and something blue. Most of all, I need you” ~ for my college roommate and one of my most closest friends. “I don’t know who’s doing my makeup and I’m not sure what I’ll do with my hair, but what I do know is I need you there” ~ for one of my best girls who is a former model. “I can’t say I do without you” ~ for my ride or die for the last 15 years. I seriously couldn’t do this without her. I did find some of the quotes on Pinterest, but I made up a couple of them. I should note that my sister who lives in Australia is my matron of honour and so she hasn’t yet received her gift. I’ll be sure to share it of course. The tokens were small and inexpensive but the act of asking them meant so much that I wanted to document it. Seeing my girls tear up as they read those notes will stay with me forever. What do you think?? I have another post coming up about hashtags – seriously, I need help choosing one.